20.09.2013 - Award best Presentation to David De Vleeschouwer. Award for best oral presentation to David De Vleeschouwer for his talk "The impact of astronomical forcing on the Late-Devonian greenhouse climate" presented at the European Consortium for Ocean Research Drilling (ECORD) Summer School 2013 (9 - 20 September) in Bremen, Germany. 31.05.2013 - Dr. Steven Goderis Vocatio Foundation laureate for 2013. Thanks to the financial support of the Vocatio Foundation and the FWO (Research Foundation Flanders), Steven is spending a year as research scientist at the University of Houston, in the group of Professor Alan Brandon. During his stay Steven will work on the cosmochemistry of the meteorites and micrometeorites he collected in Antarctica. With the NASA Johnson Space Center and the Lunar and Planetary Institute close by, Houston is the ideal place to study these unique meteorites, which contribute to documenting the origin of the Solar System and the early evolution of planetary bodies, some 4.56 billion years ago. 31.05.2013 - VUB PhD day Poster Award to Christina Makarona "Follow that Sherd ! Tracking pottery exchange paths in Prehistoric Cyprus using Geochemistry". For the second year in a row, the poster award goes to an ESSC team member. Christina is a PhD student supported by NARNIA Marie Curie Initial Training Network - EU FP7-People. See the poster. 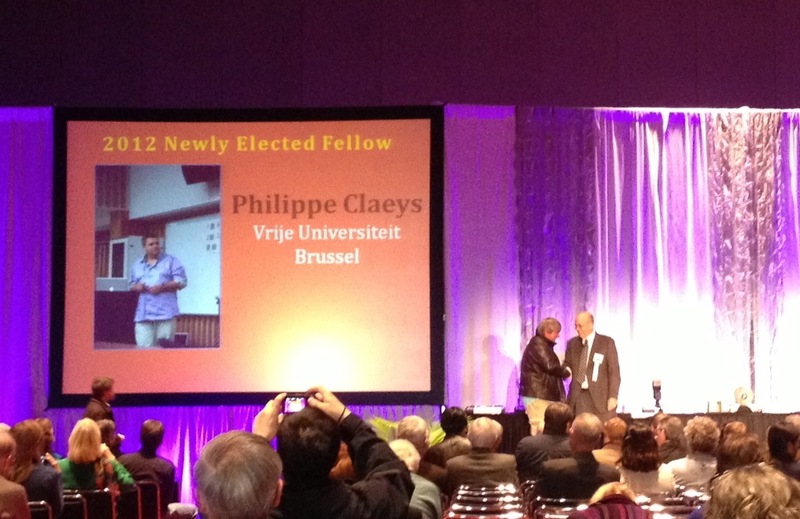 05.11.2012 - Philippe Claeys elected as Fellow of the Geological Society of America. During the 2012, Annual Meeting of the Geological Society of America, held in Charlotte North Carolina, the president Georges H. Davis granted the status of "Fellow" of the society to Philippe Claeys for his professional contribution to the science of Geology; an honour only confered to a limited number of members. 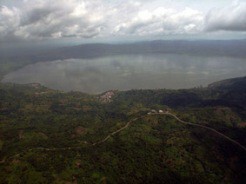 01.09.2012 - PhD and Post doctoral Positions in Planetary sciences. Main research focus on impact process, meteorites and early Earth in the framework of the Inter-university Attraction Poles �Planet Topers"